Dinosaurs were not the only giants to walk the earth in the Triassic. Fossils of a giant reptile more closely related to mammals than dinosaurs have been found in Poland. The creature was 5 metres long, 3 metres tall and weighed 9 tonnes. That makes it similar in size to an African elephant. In appearance, though, it was more like a bent-legged hippo, with a beak and two tusks. During the Permian period, about 300 to 250 million years ago, the largest herbivores on the planet were mammal-like reptiles called synapsids. Some grew up to 3 metres in length and weighed up to 2 tonnes. But their reign was ended by the Great Dying, after which dinosaurs came to dominate the planet. A few synapsids survived into Triassic but they were small creatures typically less than half a metre long. It was thought dinosaurs were the only animals to evolve into giants during the Triassic. But around 208 million years ago, towards the end of the Triassic, at least one synapsid evolved into a giant, called Lisowicia bojani after the site where it was found. “We have bones of several individuals,” says Grzegorz Niedźwiedzki at Uppsala University in Sweden. The first fossils were found in 2005, and more have been uncovered since. Niedźwiedzki’s team has now formally described the findings. The bones of Lisowicia were found in river deposits alongside those of giant amphibians, dinosaurs and other animals, so there is no doubt that they lived alongside dinosaurs. Their size may have helped protect them from large predators, but why Lisowicia was the only one of its kind to grow so large remains a mystery. “It is difficult to determine what was so unique in this group,” says Niedźwiedzki. And while gigantism might have helped Lisowicia compete with the dinosaurs for a while, it was one of the last synapsids of its kind. 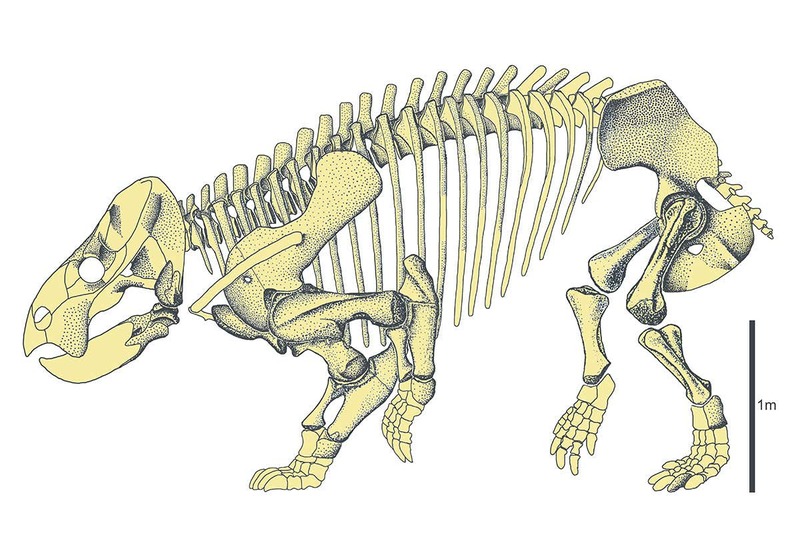 “Lisowicia represents probably one of the last dicynodont species on Earth,” says Niedźwiedzki. The team has also found what appear to be footprints and fossilised faeces of Lisowicia, which confirm it was a herbivore.